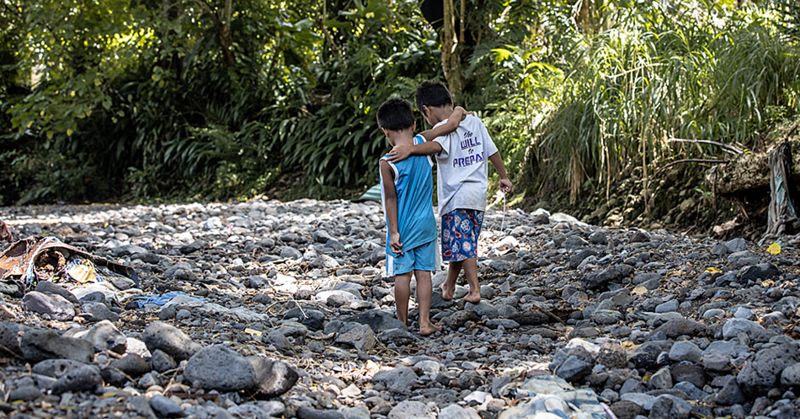 The Samoa Government has offered to pay $100,000 settlement to the family of the three year old boy who was incarcerated with his father back in 2014. This is according to a letter signed by the Attorney General Lemalu Herman Retzlaff, obtained by the Sunday Samoan. Dated 4 May, 2017 the letter was sent to Woodroffe Lawyers in Auckland. As reported earlier, the father was taken in for a traffic violation but was not given the chance to make arrangements for his son. Both were immediately locked in a cell by the attending Police Officers. According to the A.G.’s letter, it was in response to two separate pieces of correspondence from the family’s counsel, Leuluali’i Olinda Woodroffe who made an offer to the Attorney General’s office. 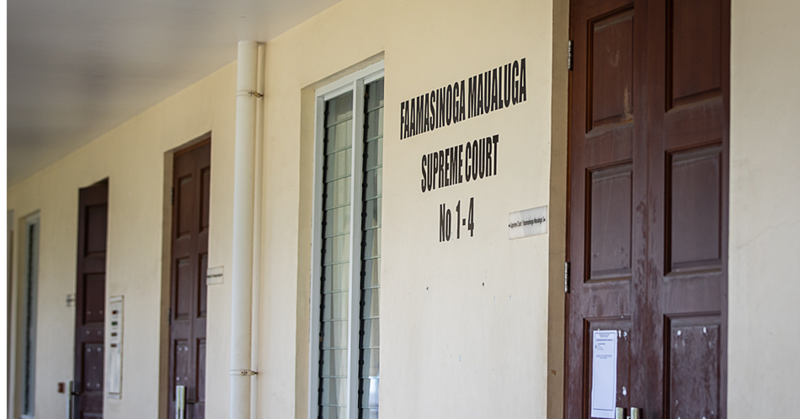 “The plaintiff requests an open letter of apology from the Government of Samoa to the child’s parents, to the child personally for his mistreatment and false imprisonment by the Police. “The Plaintiff invites the Government to make a compensation payment to the child of $100,000Tala and legal costs of $25,000Tala. Lemalu in his letter noted they sought instructions from their client and the counter offer is listed here. “The defendant appreciates the effects of the event which took place on September 2016 [sic] and that a formal apology can be made by the current Commissioner of Police to the plaintiff and his family under the auspices of the confidential and without prejudice mediation process. “The defendant offers a settlement repayment of $75,000 for the child and $25,000 for legal costs. “The defendant also requests that 50% of the settlement payment be held on trust for the child until he attains the maturity age. Lemalu further urged the plaintiff’s attorney to discuss with the clients and said they hoped to hear from them before or by the date set for mediation. The Attorney General clarified to the Plaintiffs attorney that if the client was agreeable to the terms set out, they woulde seek “Cabinet approval before the money is paid out and that the Plaintiff’s claim would then be withdrawn and dismissed,” he said. 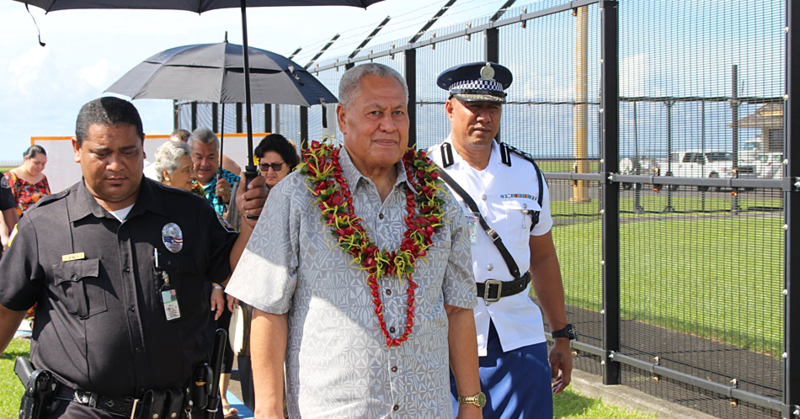 Meanwhile, Assistant Police Commissioner, Sala’a Moananu Sala’a stated the lapse of judgement by three Police Officers, resulted in the Samoa Government offering to pay $100,000 settlement. 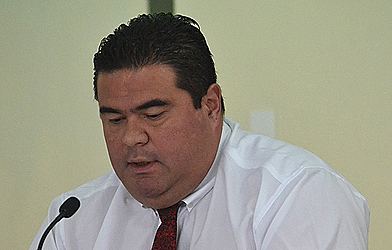 He apologized to members of the public on behalf of the Ministry and the Officers at fault. According to Sala’a the three officers who included Inspectors, were suspended and dealt with internally. At the time of the incident in 2014, the father said he was taken into the Police station in Apia. The father said he told the officers where his son should be taken, but they did not pay any attention to him and instead threw both he and his son in the cell. The father had been caught driving an unregistered vehicle twice, and said police had every right to detain him for that. He believed putting his child in the cell with him was unacceptable. The father and his child were released about an hour later. The incident occurred while Assistant Police Commissioner Fauono Talalelei Tapu was Acting Police Commissioner. At the time, he said the police had every right to lock up the father. However, the child should never have been there, and police should have called a relative to come and take the child home, he said.